You say potato and I say ... well, that depends. On this week's edition of That's What They Say, host Rina Miller and University of Michigan English Professor Anne Curzan investigate the various pronunciation of commonly used words. Cumin, a popular ingredient found in many kitchens across the nation, is a word that has a tendency to catch people off guard with regards to its pronunciation. According to Curzan, historically, cumin was pronounced as "come-in" and is derived from old English. Current usage of the word takes on a couple of forms. While some people may say "coo-min," others might pronounce it as "cue-min." Furthermore, some people may still pronounce cumin as "come-in." Curzan states that most standard English dictionaries will give you "cue-min" or "come-in" as standard pronunciations. Other words such as "harassment" and "program" do have alternate pronunciations and Standard English dictionaries will usually provide both forms. Harassment can take on the form "harris-ment" and program can sometimes be pronounced as "progrum." What words do you frequently use that have alternate pronunciations? Let us know by leaving a comment below! The expression 'one off' is not a one of a kind expression. This week on That's What They Say, host Rina Miller and University of Michigan English Professor Anne Curzan inquire about the concept of 'one off' and its origins. According to Curzan, 'one off' first shows up in 1934, and it means 'made or done as only one of its kind', and it's not repeated - it's a one-off product, a one-off event. Its origins are British, but has been in use in American English since the 1980s. Even when we are not talking about baseball, we are often using the language of baseball. On this week's edition of That's What They Say, host Rina Miller and University of Michigan English Professor Anne Curzan explore baseball terminology and the expressions that are commonly used, even though the reference may have nothing to do with baseball. On this weekend’s edition of That’s What They Say, host Rina Miller talks with University of Michigan English Professor Anne Curzan about greetings and closings used in the age of the email. The use of "dear" has been the default salutation, going back to the 17th century, when it became the polite form for letters as in "Dear Sir" or "Dear Madam," says Curzan, but there are less formal salutations by using words such as ‘hi’ to open an email or letter. Sometimes we’re warned to watch our head, but when you think about it, that doesn't seem physically possible. How can you watch your head? 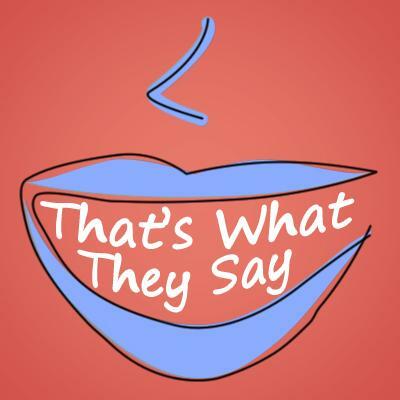 This week on That’s What They Say, host Rina Miller and University of Michigan English Professor Anne Curzan analyze phrases and expressions involving the word ‘head’. If you use the word ‘fuddy duddy’, young people might just think you are one. This week on That’s What They Say, host Rina Miller and University of Michigan English Professor Anne Curzan talk about the rise of fashionable words. After using the word in class, Curzan states that her students had no idea what she was referring to. When she asked whether they knew what she was talking about, only a few students knew what a ‘fuddy duddy’ was.